TipTip detects the edges of the browser window and will make sure the tooltip stays within the current window size. As a result the tooltip will adjust itself to be displayed above, below, to the left or to the right of the element with TipTip applied to it, depending on what is necessary to stay within the browser window. TipTip is a very lightweight and intelligent custom tooltip jQuery plugin. It uses ZERO images and is completely customizable via CSS. jQuery.Syntax is an extremely fast and lightweight syntax highlighter. It has dynamic loading of syntax source files and integrates cleanly using CSS or modelines. Having full control of elements on a page and the order they are presented in can be quite useful. jQuery as always is a safe choice to go for. There are several good quality plugins to pick from. This post provides an overview of plugins you can use to provide simple yet powerful functionality to reorder, filter, add drag and drop capabilities etc. I’m going to show you how to use jQuery and PHP to build a content editing system that will allow you or your client to easily edit .html pages visually. Below I’ve prepared a simple table that describes a number of CSS selectors that are not cross-browser compatible, along with the jQuery syntax for each. The syntaxes are exactly the same as they would be in CSS, save for the jQuery wrapper (just remove $() and the quotes to get the CSS syntax), so using these selectors in jQuery will provide somewhat of a practice ground to prepare you for when they’re fully supported by all commonly-used browsers. Our latest contribution to labs is the selectmenu plugin, which is designed to duplicate and extend the functionality of a native HTML select element, and lets you customize the look and feel, add icons, and create hierarchy within the options. Best of all, it’s built with progressive enhancement and accessibility in mind, has all the native mouse and keyboard controls, and is ThemeRoller-ready. Today we’re going to break the mold of the traditional tooltip. This tutorial will demonstrate how to build tooltips that are powered by jQuery, with information pulled from a JSON array. So today I’m going to run through the technique used to zoom the image thumbnails and display the overlay of text. Roundabout Shapes provide even more paths along which your Roundabout can move. The current version of Roundabout Shapes offers eleven additional movements. This past week I was working on a project at work which included building a request form with multiple fields. It was a rather large form that included a dropdown list with an ‘other’ option. I wanted to allow users to select the ‘other’ option which then would show an input field so they can enter a specific description of what that ‘other’ item is. I didn’t want to clutter the form by displaying that additional field by default so I used a little jQuery, thus displaying it dynamically and only when needed. This is a pretty nice effect, and it can really help to save space on forms. There are a billion different ways to implement this, and I don’t suggest you use the example from above because that was just a quick way to show the effect. So let’s walk through a couple of different implementation approaches and figure out the best way to implement this feature. Enter your HTML Entity Character number (such as &#2335 or just 2335 – ?) to get the CSS and JS values for that entity. With today’s post I will show you a contrived example to get you started. I eventually hope to add this to the contextMenu.js jQuery plugin that I use, but for now this should be pretty straight forward. I do want to note that in the demo and download I am loading the latest version of the jQuery library (1.3.1) from Google’s CDN for the first time in any of my posts. For more information on how to do this see the instructions from Google. fLABjs is a special API wrapper around LABjs which adapts the code to work properly in a file:// local filesystem environment. There are a number of things with core LABjs does which are not appropriate for local filesystems, such as XHR, special path handling rules, etc. jQuery LazyLoad Ad is a jQuery plugin that takes advantage of LazyLoad delaying ads loading. This time we will learn how to improve a little more our sites by adding some additional interactions to our search boxes like autofocus, highlighting, autoreplace default text and more by using jQuery. – Timed hiding with visual effects. – Sticky (no automatic hiding) notices. – Stacks allow notice sets to stack independently. – Control stack direction and push to top or bottom. 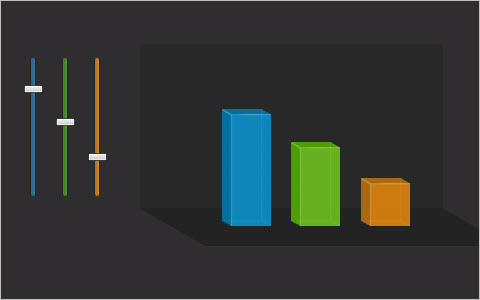 jQuery Slider is easy to use and multifunctional jQuery plugin. This is a really great list, thanks. There were a couple of cool items on here that I didn’t know about, like gameQuery. gameQuery caught my eye too. I’ve never seen it before but WILL be playing around with it soon! With few new and many repeated jquery script on the list..
GM Spectre is so funny. the frame rate is slow during loading but plays ok after. Excellent list of examples – some really cool ones that I will definitely reuse in future projects. Really good list of jquery scripts. Particularly like the slider script. Another simple jquery script I have been using in some of my new themes is the jscolor open source code which gives some good color picking functionality. I have to say the list is perfect besides the fact you selected a plugin who`s official explanation doesn`t even work (NIVO SLIDER). It is truely great, but as you follow the steps it doesn`t work, wich makes it usseless, in case you don`t want to spend a whole morning studying the CSS structure in order to make it work. We have a Webdesign Berlin Company and use different Techniques. I like the CoffeeScript! Nice list of scripts. Superb. I am getting what I needed now!. Thanks for sharing. They ar very powerful. Thanks to you. Isuggest to put more JQuery Samples an Tutorials Here. So Good. Wow. This pack is amazing. JQuery unlocked the missing UI library. it’s really great and useful jquery collection. i am using QUnits jquery Test Suit it’s awesome. Great list, thanks. gameQuery looks interesting.